Over the years, I have known close friends in ministry who have been deeply wounded and treated unjustly the women in their world. And when that happens, many people – both inside and outside the church – secretly (or maybe not so secretly) believe that it must be the man who is primarily at fault. The church, the courts, and the culture at large tend to make men the villains. And, to be sure, many times men are the principal source of the problems in a marriage. But I believe that there are large numbers of men in the church in America who, although not claiming to be perfect and completely innocent, have suffered unjustly because of the decisions of a wife who refuses to operate according to God’s principles and plan. Some of these wives play their “victim card” to perfection. And because so many women have been marginalized and abused by men, church members and leaders tend to believe their side of the story. When that happens, the church marginalizes these men whose wives have rebelled against the Lord’s plan and initiated separation and divorce. It might seem revolutionary to stand up for men and cry out for justice. Why? As I already mentioned, men are often the perpetrators. But who is the voice for the men who have been wounded and left behind? Who has the courage to say that in some cases the primary reason that a marriage didn’t work was the fault of a controlling, immature, hurtful, histrionic, narcissistic, or abusive wife? 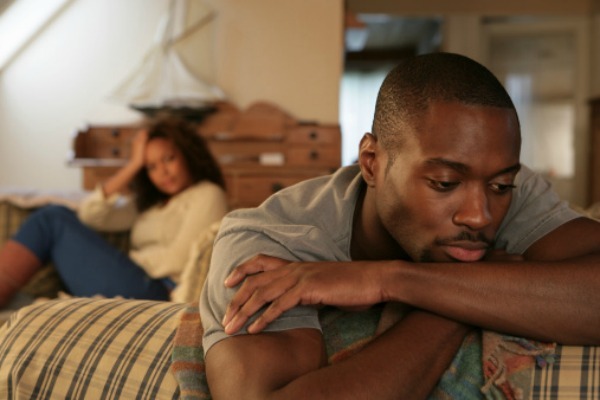 If you are a man who has been falsely accused and have suffered unjustly, I encourage you to own your responsibility for the break-up of your marriage. Don’t minimize. Don’t blameshift. But let me encourage you to not own more than your share of the responsibility. I am truly sorry that you’ve been going through such a difficult season. I can’t even begin to imagine how hard it must be. I always encourage men (and women!) who are being divorced against their will to engage church leadership so that the abandoned person who might one day want to pursue a fresh relationship has a sense of freedom to do so because they have operated under spiritual authority. I encourage them to not vilify an ex. And if they have children, I encourage them to guard their ex-spouse’s reputation in the eyes of the children. Have conversations with spiritual leaders who can hear your story, verify the truthfulness of it, and give you the freedom to move forward. As I understand I Corinthians 7:15, even though someone may claim to be a believer, when she abandons a partner she is certainly not acting as a believer has been called to act. In such cases, I think the abandoned partner is free. But I do think that that freedom and liberty ought not to be self-initiated. Instead, it ought to be granted by spiritual authorities. If you are a man who has been falsely accused, may God give you the grace to continue to endure. May you have friends who will listen and challenge and encourage you. May you find grace-filled leaders who will speak the truth to you in love and who will stand with you and be for you. And may God make your next season of ministry be vibrant and fruitful. Perhaps part of your future in ministry will be seeking ways to support and encourage men who, unfortunately, find themselves facing a similar situation. “Blessed be the God and Father of our Lord Jesus Christ, the Father of mercies and God of all comfort, who comforts us in all our affliction, so that we may be able to comfort those who are in any affliction, with the comfort with which we ourselves are comforted by God. For as we share abundantly in Christ’s sufferings, so through Christ we share abundantly in comfort too” (II Corinthians 1:3-5).